Just what is the ultimate bug out vehicle? You are here: Home / How to Be a prepper / Just what is the ultimate bug out vehicle? The idea of the ultimate bug out vehicle is something tossed around a LOT on the internet. I see monster tactical vehicles, cars kitted out like they’re straight out of a post-apocalyptic Mad Max set, and old bug out trucks from the 40’s. I figured it’s high time I talk about what the ultimate bug out vehicle really is. First, if you’ve been reading my little homestead on the web for a while, you know that I’m pretty big on planning and being realistic about prepping and survival. You also know that I rarely, if ever, say that anything is the best thing. Finding what a good bug out truck or car is is no different. The question of which car, truck, motorcycle, boat, plane, or bicycle would be the best in a SHTF scenario is a pretty vague one. First, you need to know just what you’re preparing for. Are you looking for a vehicle to escape town before or after an earthquake? Are you looking for something that you can use as a combat vehicle in case our monetary system collapses? Do you need something to get you to a bug out shelter like a cabin in the woods? Are you planning on heading to a deserted island after the total collapse of society due to an EMP, zombie apocalypse or some other TEOTWAWKI event? Now you may not be planning on one particular scenario, nor should you be. Some SHTF events would be absolutely catastrophic if you’re not prepared for them but they’re not very likely. Some events are extremely likely to happen in your lifetime and having the right bug out truck or car (or whatever vehicle you need to get the job done) would be immensely helpful. Once you have an idea of what you’re planning on having to deal with, you need to think of what scenarios that would entail, what you’d be bringing, who’s coming along, and several other things that will depend on what situations you might face. Will you need to go offroad? Will you have to travel far? How much bug out gear are you taking? What are the biggest threats you’ll need to deal with that aren’t due to your route, such as OPSEC? Just like a gun, a vehicle is just a tool. Some tools are better than others to get the job done but it’s really up to how you prepare and use it as to how useful it really is. You need to come up with a car that’ll be the best option for whatever you’re planning but not be so focused that it can’t be used in other scenarios. The truck in the featured image for this post is my truck. It would work in some SHTF situations because it’s 4wd, Diesel (I can make my own fuel), sits several people, and has a camper on the back. In other situations, it wouldn’t work at all. I use it for an emergency ham radio communications center but it usually just sits in my back yard as my ham shack. To figure out which mode of transportation (or modes) would be best, here are some considerations. Having a gigantic IED-resistant uber-combat tactical vehicle like a deuce and a half or a tank may be great if you need to go through nasty enemy-filled routes but they require an incredible amount of fuel. Gas mileage isn’t just a consideration for the fringe vehicles that people buy in case SHTF. Some people want to have an old truck for bugging out because they may be resistant to an EMP (Electromagnetic Pulse) and they’re easy to work on, but they don’t typically go very far on a gallon of gas. If your bug out shelter is 500 miles from home and you only get 300 miles on a tank of gas, you’ll need two tanks just to get there, not counting what you’ll need once you’re there. AND, if you’ve ever gone off road before, your gas mileage drops considerably. If you were getting 10 mpg on the road, you may be getting 3 once you leave the streets. This is a big consideration. One of the big advantages of military vehicles is that you can use almost anything flammable in them. Some fuels may gum up the system or whatever but it’ll run. If you don’t have whatever fuel your car needs, it isn’t going anywhere. Hopefully you have a good backpack. This one’s a tough one. Gas is a lot more available if SHTF because it’s everywhere. Diesel is much harder to find. Diesel does have a HUGE advantage though that you can make biodiesel at home. Books such as Biodiesel Basics and Beyond: A Comprehensive Guide to Production and Use for the Home and Farm can explain exactly how to do it. Luckily, biodiesel is a lot more mainstream now so you can buy a complete biodiesel processor right from freaking Amazon ! Imagine having something like that. You can make diesel; you can’t make gas. I’m gonna have to write a few articles about that. A lot of people think that if the apocalypse comes, they can get all the gas they need with just a screwdriver from all the gas tanks in the vehicles just sitting around or just siphon it from the tanks in the ground. Fuel just doesn’t last very long. I put fuel stabilizer in my vehicles whenever I get deployed for more than a few months but neither my Desert Warrior Harley or my F250 so well while I was gone this time to Afghanistan. I came back 18 months after training and deployment and the entire fuel systems of both vehicles had to be replaced. Not such a bad job on the bike but the truck cost me over $1,000 in repairs. If you haven’t looked into gasifier systems, you should. If you connect one of these to your car, you can run off wood. Isn’t that awesome? They did that a lot back in the great depression. I’m planning on making a gasifier generator later this year but you can use the same type of system to run a vehicle. Check out the book Construction of a Simplified Wood Gas Generator: For Fueling Internal Combustion Engines in a Petroleum Emergency if you’d like to learn more. 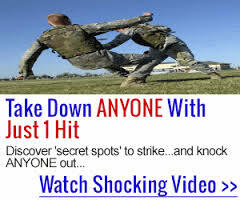 Start with this video if you want to see how to do it. I used to own a 1971 International Scout 4×4 when I was in high school in rural Pennsylvania. It was a fantastic truck off road. I could climb hills so steep that the carburetor floats wouldn’t work, by crawling it up using the starter motor. There weren’t many places I couldn’t take it. The problem was that it was a P.O.S. and I spent more time under the hood than I did behind the wheel. Your car may hit all the checkmarks on your ultimate bug out vehicle list but if it breaks down a lot, you won’t be getting very far. Whatever vehicle you get, I’d suggest going through it mechanically and getting it in top-running condition before you go spending a lot of money on wenches and big tires. You may think this is the same thing, but it’s not. A Honda Accord may be a super reliable vehicle, but if it breaks down, you may have a hard time fixing it. Not only is it pretty complicated, finding parts isn’t very easy. On the other hand, a 1970 F-series or Chevy truck may not have the reliability of a Honda, but parts are plentiful and they’re super easy to fix. In any case, do yourself a favor. In addition to having tools and a few spare parts, get yourself a copy of something like Auto Repair For Dummies as well as the repair manual for your specific vehicle . Contrary to what a lot of people think, an electromagnetic pulse from the sun or some idiot terrorist or government is actually fairly likely. In fact, it WILL happen at some point again from the sun as it has many times for billions of years. Modern vehicles are run by computer. Computers don’t like EMP. The military has been hardening their vehicles against it for generations. Older vehicles would be almost EMP-proof. The problem is that there just hasn’t been adequate testing on how vulnerable vehicles are to EMP. It all depends on just how big of a blast it would be. In most cases, the vehicle would just shut off and you’d have to restart it. In severe cases, it won’t ever start without replacing the CPUs and sensors throughout the car. Here’a a big consideration, based on what exactly you’re planning for. If you have a big 5-ton military vehicle in your back yard and drive it through town occasionally, everyone knows it. If society breaks down, you’ll have to spend a lot of resources to protect that vehicle. On the other hand, if you have something like a Jeep Grand Cherokee or Toyota Landcruiser, you can kit them out inside to be extremely capable vehicles off road and most people wouldn’t give them a passing glance. Bigger isn’t necessarily better. A lot of being able to drive off road comes down to driver ability. I used to have an old VW Beetle that I paid $52 for back in high school (I’ve had a lot of vehicles) that I could take places off road that trucks couldn’t go because it had a surprising amount of ability in the woods and a short wheelbase. I could fit under trees and go down into ditches without hanging up on my bumpers like the big trucks did. That’s a big reason why Jeep CJs do so well. Clearance and drivetrain are also considerations. You can improve these by upgrading the hubs, lifting the vehicle or modifying the wheel well to fit bigger tires, and waterproofing your engine. Essentially, it all comes down to practicality. Some vehicles are really good for some situations but they’re pretty useless in others. Choosing the right bug out vehicle comes down to finding something that will work when you need it to. All your plans are irrelevant if the SHTF scenario you planned for isn’t the SHTF scenario that happens and you end up having to leave your vehicle at home or on the side of the road. You just wasted a lot of resources that you could have spent elsewhere. What do you think the ultimate bug out vehicle is? What do you have right now? What upgrades have you done? 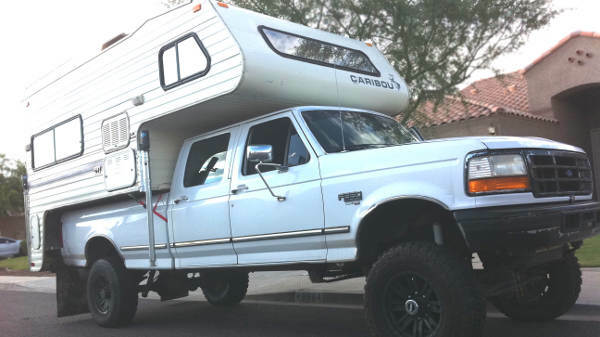 I have a ’97 F350 CC 7.3 with a rack and no-window work box on it that I have put up on the largest tires that will fit under the stock suspension with NO RUB. (36×12.50×16.50 military oz) I have been going through the power plant and drive line as possible and I feel pretty comfortable. We also have a ’97 E350 7.3 11 pack van with upgraded suspension (not a lift, just stiffer), and I have been going through the engine. I intend to turn it into a 4wd system. My wife has a ’04 Excursion with the 6.0… I’ve done all the top end work to it but intend to trade it out ASAP for a 7.3 Excursion. Good stuff paintman. Been there a few times when I was younger. While the water can cause problems, it shouldn’t have happened so fast. the xfer case SHOULD have been sealed and a blow off valve to allow pressure release when hot, but the rear end yeah they are open. People generally don’t realize the vehicle needs to be modified for water crossings and dealers and manufacturers wont tell you because they use it to void warrantee coverage. If you are setting up a vehicle for water crossing, not only do you need to bring the breather hoses up to atleast as high as the air intake but add aftermarket axle seals at the ends of the axles to keep water out there since the standard seals are made to keep the heavy lube in not water out. Graywolf- Great article, and I agree strongly in having all your vehicles capable and able to serve as “bugout” vehicles if needed since you never do know when or where you may need that capability, since even your family trip to disneyland or the beach may result in an emergency evac from Southern California due to earthquake, riots, ect. I do have a question and words of advice/warning for you and Doc, since I have a 97 4×4 7.3 power stroke that I used to drive daily before deciding I wanted something smaller and more comfortable to drive daily. Thus it was retired to “farm truck” status for hauling yard and building materials, trailers, and firewood. It works great for those uses and I have to say while I love the power and reliability of my ol “farm truck” and wouldn’t hesitate to take it if I had to, I have to ask you both if you’ve ever done much serious repair work to your vehicles yourselves? I’m not talking your normal A&B service/PMCS type stuff, but actual repairs? In a long term or emergency scenario Diesel trucks are often bullet proof in terms of reliability, however often when they do break down you need different skill sets to diagnose and repair a diesel over a gas engine. I’d recommend if you haven’t done any of these more “advanced” repairs or rebuilds doing it next time using the chilton’s manual as a guide so you know how and most important so you have the tools needed. I’d try and “stockpile” up extra a few extra fuel filters, air filters, oil filters, fluids, and wiper blades at the least. If you can swing it, a HPOP, LPOP, Both electric and mechanical fuel pumps as well as the needed fuel hose to replace at the time of repair. I would recommend that you install a bypass oil filter if you haven’t already as will to help with both engine life as well as longer oil life since it removes finer particles of suet from the oil. And because you never know how long it might sit, I’d install a battery cut off, or quick disconnect for the terminals so you can isolate the batteries for long periods of non-use in a SHTF scenario plus it might help keep someone from stealing it if it won’t start right away. “EMP” wise the power strokes typically are computer controlled and could in theory be knocked out by a EMP. The ECM units are actually decently shielded since they are (in 97’s and 98’s) mounted into the firewall under the dash in the cab. Leaving me to hope that only a really strong jolt would kill them, but I’d recommend attempting to find a back up ECM for it, and your Transmission if it is an Auto since the TCM is under the truck, from a local junk yard or auto parts store to store in a “faraday” cage just in case if it’s your only BOV. Then again I’d recommend this for any vehicle you own if you can afford it. I’m better than average at mechanical repair but almost all my diesel repairs have been on army vehicles stuck out in the middle of nowhere so I’m not exactly what you might call proficient. I also have much more “roadside” repair experience since I ran a Contact truck most of my time in and I enjoyed the “simplicity” of the older military vehicles. This was because they were as easy to diagnose faults on since it typically was, as simple as saying if it won’t start- check battery, then fuel, and 99% of the time you found the fault. However much like civilian vehicles of today (and the last 20-30 years) newer (M915A3 family) of line haul trucks, Strykers, ASV’s, LMTV’s and such started being less fun with all the computer ECM crap since often in my experience you can’t diagnose faults without the proper tools which like most civilian cars now days are expensive or delicate scan computers that often are in the rear not on the road where your breakdowns occur. And don’t forget it is typically a sensor or wire harness that fails nowadays on Military vehicles, due to the rough use they see, not an actual pump, valve, or other part, so no computer often means no diagnosis. Between the civilian vehicles having smog control mandated by EPA regulations, to the wide spread use of ECM’s for nearly everything in modern vehicles it can be tough to diagnose without a scan tool. For example my 06 VW Jetta for example has a ECM for the wipers, seats, and lights, over 30 ecms that all talk to each other! One fault in something simple and unrelated to fuel, spark, or battery could shut you down or even keep you from starting. And Ford, Chevy, Toyota, ect, is no different, the 09 F150 I recently bought has nearly the same interconnected network of ECM’s that can control everything. Luckily you can get a small fairly inexpensive code reader for most civilian “light” vehicles for a decent price, and it is small enough to add to your car tool box. These will let you work on the engine ECM’s, but if you want full ECM diagnostics and even adjustment you again are looking at either expensive tools or special cables that plug your laptop into the vehicle ports. But again it is a specially tool, that requires practice, learning, and experience to use effectively, something best learned now before the SHTF…. For a family (like my own), and even many singles, I believe the ultimate BOV would be a 4WD Chevy Suburban. Plenty of passenger/cargo capacity (without having to exit the vehicle to access the cargo area, like many pickups), 4wd ability, relatively good gas mileage with a large tank for long range, and completely ubiquitous– no one would look twice as Suburbans are everywhere! I currently drive a 4wd Crew Cab pickup as my vehicle (I’ve had several Suburbans in the past however,) but I intend to buy a Suburban within the next year for the added security of an enclosed/accessible cargo area. In case of an EMP, we also have an ’84 standard cab 4×4 pickup with no computer controls, plus a 1943 Jeep CJ for extra hauling capacity in a pinch. My hubby can perform any mechanical work on all of our vehicles. Suburbans are very useful. My only real gripe with them is gas mileage. My most recent Suburbans have both gotten between 19-21 mpg (compared to my current 2500HD Crew Cab, which gets 15-16 highway)… Not bad for a full-sized vehicle with that much carrying capacity! Even towing a trailer I’d still get over 16. I guess if you were a single person a Jeep Cherokee may be enough hauling capacity for a BOV, but for my family of 5 I need a large vehicle if I’m going to carry anything more than our basic BOBs! wow. That’s a lot better than I was expecting. Nice article on the topic for a starter, and I for one like the discussion you bring up there and here. Though I noticed it didn’t mention your comments here about “escape pod” or rear base from here. I don’t know Graywolf’s idea’s on it, but from my experience in the service there are arguments “tactically” for using one, and arguments against and most of them hinge for me on mobility and security. Well the reality was that the PLS only carried two people, so you either had two people who were mechanics driving the PLS or you had to have a second vehicle carry your mechanics. A little inconvenient, but still not a big issue, except in modern asymmetric (read no battle lines or terrorism/guerrilla warfare) battlefields you need more than two mechanics to work on the vehicle and provide security for the area your in while repairing the vehicle. So now your at two mechanics, and at least two but preferably four or more “security” elements (depending on threat levels) at the location. Now your convoy dropped these guys and the repair shop (trailer in your scenario) and moved on, sometimes for hours before repairs were completed, and they still needed to come back and retrieve both the mechanics and the repair shop, repaired vehicle and security element. Needless to say most units quickly found this unworkable at best and instead would tow the disabled vehicle instead of splitting up since it doubled the work, wasted resources, and security needed for movement. Those fancy PLS roll-off units are now rarely used for the mission they were bought for. I have a M35a2 Kaiser made in 1967. I only paid $2,500 and it has the 10,000lb pto winch and a hard shell over the troop compartment. I love it because of the simplicity and the ability to run any type of fuel from diesel to transmission fluid. The 5 tons are flooding the market now and are a good cheap investment for most people. You can chop these to 4 wheels and make a double cab. I have an early ’80’s Ford Bronco with an older but rebuilt 300ci straight six, carburaated engine with auto transmission. Six inch suspension lift with 35in tires but going to be upgrading to 38in runflats when I can afford it. 18 gal fuel tank with Jerry cans in roof rack carrier. Homemade heavy channel and plate bumpers with “D” rings front and rear and a 12000lb winch. I have lots of room under the hood to mount an onboard compressor and tank along with the 2x 12v batteries. The truck was originally outfitted with a 351ci V8 engine and although it had lots of power I could actually watch the gas gauge drop when I put my foot in it. I went with the 300 six due to the legendary durability, reasonable mileage and decent bottom end for towing or climbing. Not to mention the ease of maintenance and repairs. Future plans include water proofing and snorkel setup along with electric fan that can be shut off for water crossings. I’ll keep the mechanical fan handy just in case lol. Graywolf great post man. I wonder why you never included any type of bike on your article? I know a lot of people are using dirt bikes or peddle bikes with a trailer behind. I know its slower and cant carry as much but I believe many people are going for this option. Bikes are also bug better at exiting large metropolitan areas than a regular vehicle. In some cities if anything bad happened there would be no way to get out other than foot, air, or bike. As always great article, you are one of the top players in the prepper scene for a reason. 1984 MCI 9, bus. Detroit diesel. everything I need with me at all times. 600 mile range on one tank, extra tank very doable SVO or WVO very doable. (in the future plan) so every deep fryer in the country becomes a fuel station. can bug out to anywhere from anywhere. can be nomadic based on weather and situation. Solar panels are in the future. flat towing a 1/2 ton truck behind me.